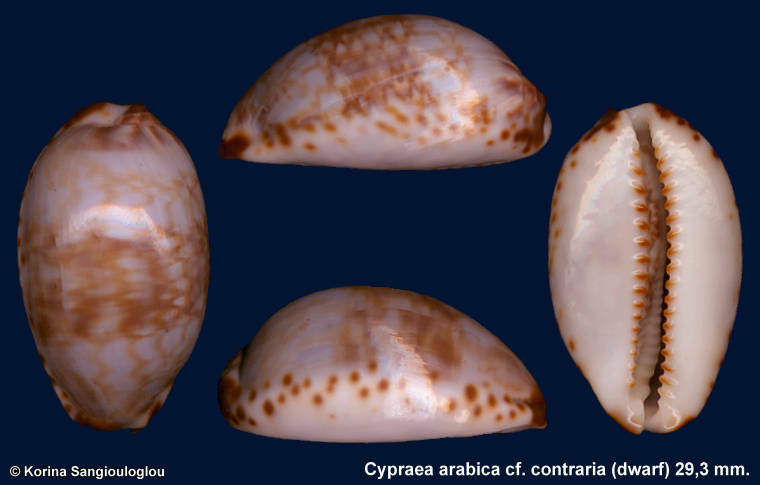 Cypraea arabica cf. contraria (dwarf) 29,3 mm. and margin with brown spots. Has some slightly growth lines not so important.